With the backing of such a large company as Hyundai, you get excellent features such as Apple car play, reverse cameras and rear sensors. Roomy interior with loads of luggage space. The LED Headlamps (Elite & Highlander) cast a significantly brighter and longer light beam while boasting an unmistakable look that is both high-tech and futuristic. 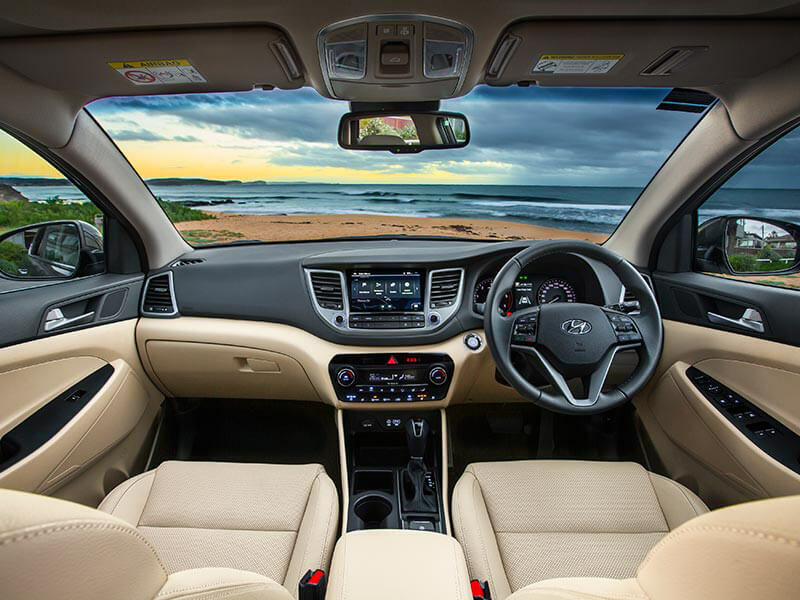 Enjoy generous cabin space matched with a premium interior to make your driving experience as comfortable as possible. There’s no compromise in the detail with this 5 seat SUV. Hyundai’s 2.0-litre direct-injection four-cylinder petrol engine is available exclusively in 2WD Tucson ActiveX, combined with Hyundai’s advanced six-speed automatic transmission. Hyundai’s 2.0 CRDi four-cylinder turbo-diesel is the most potent engine available in the four-tier Tucson range. It is available exclusively with Hyundai’s Active On-Demand AWD system and advanced six-speed automatic transmission. Combining radar and camera data, the Autonomous Emergency Braking (AEB) system activates the brakes when it detects dangerous, sudden braking by the car ahead. When travelling 80km/h and below, Tucson will come to a complete stop. Only available on: Highlander variant. 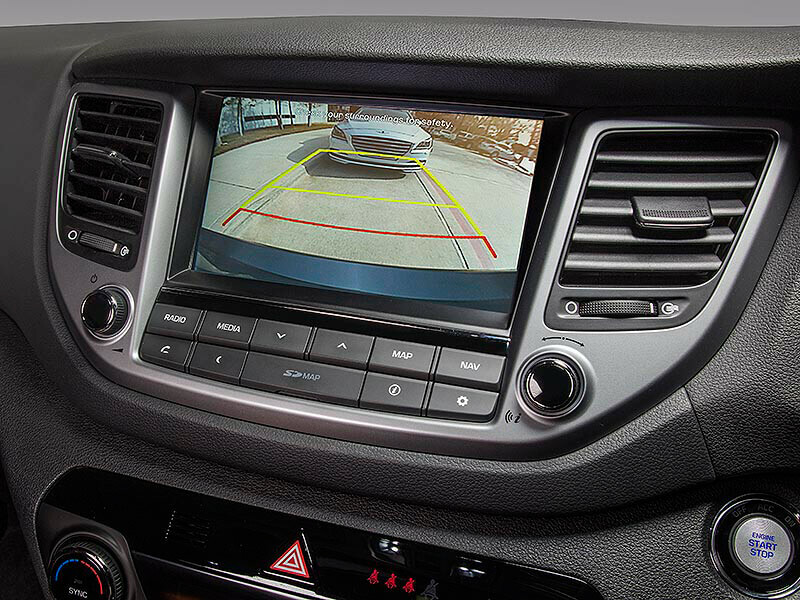 Intelligent features like Blind Spot Detection alerts you to objects in close proximity, and Lane Change Assist warns you if a vehicle is approaching rapidly from the rear. Only available on: Highlander variant. Based on the drive away price of $30,490 for the Hyundai Tucson Active from $180 per week. To approved business applicants on a Chattel mortgage loan over 48 months with a deposit of 10% of the Drive away Price. Standard fees and charges apply. All offers are based on 13.94%p.a. Full terms and conditions available on application.